The proposal not only stymies EU officials, who preside over arch-protectionist agricultural regulations, but may solve the continent’s most vexing problem: illegal migration. German Development Minister Gerd Müller proposed a free trade policy – especially for agriculture – in an interview with Die Welt this week. The EU seems to go out of its way to prohibit developing nations from exporting food or moving up the industrial ladder. Its Common Agricultural Policy imposes tariffs of up to 18 percent on African agricultural goods. Brussels heavily subsidizes farmers in its 28 member states. Additional policies and strict regulations disincentivize nations from producing value-added, finished goods. 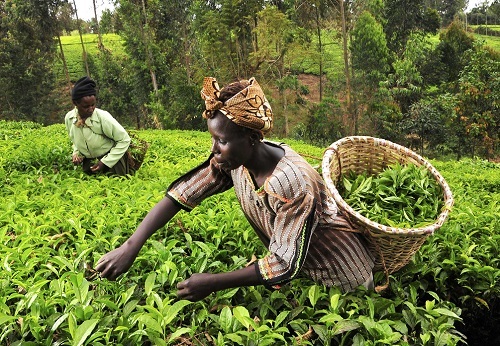 That leaves Africa an exporter of raw materials – facing tough competition from first-world farmers. “Subsidized agricultural products from Europe are flooding African markets and destroying local smallholder structures,” an anti-trade told the Frankfurter Allgemeine Zeitung (FAZ). African leaders hope that forming a Continental Free Trade Area (CFTA) will give the continent more bargaining power. A more generous trade policy could benefit both continents – allowing Europe to import less expensive food and Africa to grow its agricultural sector. However, the policy would not be entirely free. As a condition, Müller is asking African nations to take back any illegal migrants who have entered Europe – coincidentally, ameliorating his country’s most incendiary political issue and his party’s greatest political liability. Müller is a member of the Christian Social Union (CSU), the Bavarian affiliate of Angela Merkel’s ruling Christian Democratic Union (CDU). Merkel’s invitation for migrants to enter Europe made the continent in general, and Germany in particular, a destination for refugees as well as economic migrants (whom Merkel did not specifically invite). Backlash powered the populist Alternative for Germany (AfD) into a third-place finish in last fall’s elections. With additional jobs fueled by trade, Müller argues, fewer economic migrants would seek to cross dangerous oceans to make a life thousands of miles away from their family members. The free-trade proposal faces some domestic opposition and EU hurdles – but also bipartisan support from the rival Social Democratic Party. SPD agriculture spokesman Bernd Westphal agreed the policy would aid African development. Christians should applaud this innovative, mutually beneficial policy that would lower EU food costs, allow Africa to develop its abundant natural resources, uphold the rule of law, and remove all obstacles keeping the world’s most poverty-stricken nations from prospering to the full extent of their own hard work and ability.